Discussion in 'Digital & Modeling Gear' started by JackInR, Jan 16, 2018. Rod, mbenigni, yeky83 and 3 others like this. Looks interesting to me for sure. Not that I expect them to give it away, but it’s going to be insanely expensive. mbenigni and stormtrooper like this. Sounds like the same engine, but with a lot of focus on extensive stock cab options and refined "amp matching". Can't say I'm super interested, but clips can always change my mind. No, the upgrade is huge across the board in terms of the core engine. They also have a deal with Celestion to include their IRs, as well, the entire product was touched. You beta testing? I can't find any mention of that. Description reads as if they will again not include any FX. Yeah well... good luck with that. It's all about that DLC! Apparently, reverbs are included, so there's that. But yeah....still going modular with their approach. Not a fan o' that. mbenigni and JiveTurkey like this. Given how often I've seen V1 in the wild (never, that is), not many people are fans of that. And my uneducated guess would be that even less people are fans of what they're asking for it, inspite of the no-FX limitation. JerEvil and JiveTurkey like this. The Celestion tie-in might be interesting. The IRs appear to be 'baked in' somehow so that you can just drag the mic positions around and it will automatically select the corresponding IR(s). 100 USD extra for that... although that would easily be the price if you purchased those IRs direct from Celestion. 1. I wonder if you can get access to the individual IRs from a folder, so you could use them elsewhere? 2. Will the iOS version also see an upgrade and will it retain its compatibility with the desktop version...? Is it actual tubes? Or is the whole thing software? No, I meant about the "huge upgrade" to the core engine he mentioned. I see a lot of talk of new user interfaces and "more" options for tubes, mics and transistors and such. Not a lot about the engine itself. in the comparison table bias write "new dsp system", a lot of new amps and the interface is new. also if you buy bias 1 you can upgrade for free, this image is from the page. Does it include the entire Celestion library, everything they make? If so, everything as of when? Elantric, Philo, PBGas and 3 others like this. "For BIAS AMP 2 we worked with artists, engineers and recording studios to improve the already hyper-authentic touch response of our amplifier circuits. The result is a new playing experience, with increased touch responsiveness and dynamics"
"With new tubes, transformer, dynamic tone control and a completely redesigned speaker cabinet module with multi-mic capability, you now have the tools to take your tone explorations further than ever before!" "AMP Match can already match the tone of any mic’d reference amp, but we’ve made it even better in BIAS AMP 2: now matching a tone is as easy as importing an audio file!" It's $49 to upgrade to 2 if you have 1 already, $149 and $249 for the "pro" and "elite" packs. Meh, I'm not upgrading. PBGas, Theorist and Anacharsis like this. Well hopefully the current version of Bias Fx will be compatible with the amps in Bias 2. I'm sure they will allow it because it would be a serious mistake and downright silly if they don't. 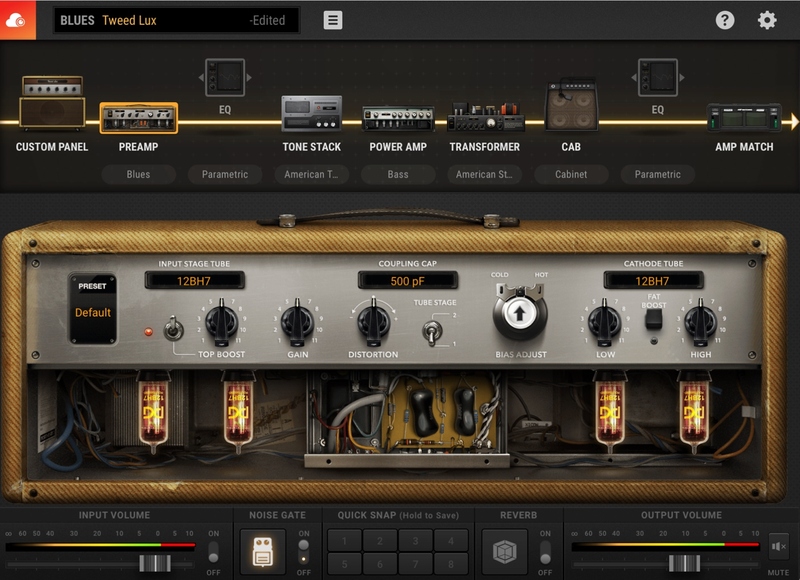 Bias Amp is not meant to have effects, it has always just been an amp design app...same as Bias Pedal. It's Bias FX that is the hub (shell) where everything is combined into "rigs". Their plugins make a lot more sense when you have the whole PG ecosystem.